David Dao, the 69-year-old Kentucky doctor dragged off a United Express flight on Sunday night, suffered a concussion and broken nose in the incident and lost two teeth, his attorney said Thursday. Dao will need reconstructive surgery, lawyer Thomas Demetrio announced at a news conference in Chicago. He said there will "probably" be a lawsuit over the airline's actions. Dao's lawyers have already filed in Illinois state court to compel United to preserve evidence related to the incident, to ensure that videos and other recordings are not destroyed before a case could start. The violence captured on bystander video was obviously unacceptable, showing "unreasonable" force, Demetrio said. He also issued scathing broadsides against United and other airlines in general — saying the larger issue is that airlines have "bullied" customers for a "long time." Among other things, Demetrio called for airlines to "stop the over-overbooking." Airlines are legally allowed to "overbook" flights, selling more tickets than they have seats. That means in some cases paying passengers are barred from the flight. In Dao's case, the airline originally said the flight was overbooked but later clarified it became "oversold" only when United discovered it had four crew members who needed to be on the flight from Chicago to Louisville, Ky. The airline offered money for anyone who volunteered to leave, and when no one did, they ordered passengers to go. Dao refused, saying he had patients to see, and United called security — leading to a bloody altercation and aviation police dragging Dao's limp body down the aisle. Dao's daughter, Crystal Dao Pepper, said the family was "horrified, shocked and sickened" by what happened. What happened to Dao "should never have happened to any human being," Pepper said. Public outcry over how Dao was treated was prompt and passionate. 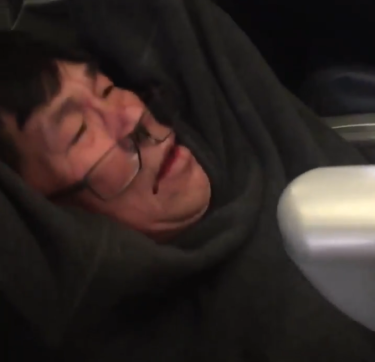 United's response, which early on blamed Dao for not obeying instructions, was widely seen as inadequate. The airline has since offered a fuller apology, and is refunding tickets for all passengers on Flight 3411.